It’s been a long journey, but here we are, celebrating 40 years in 2015. 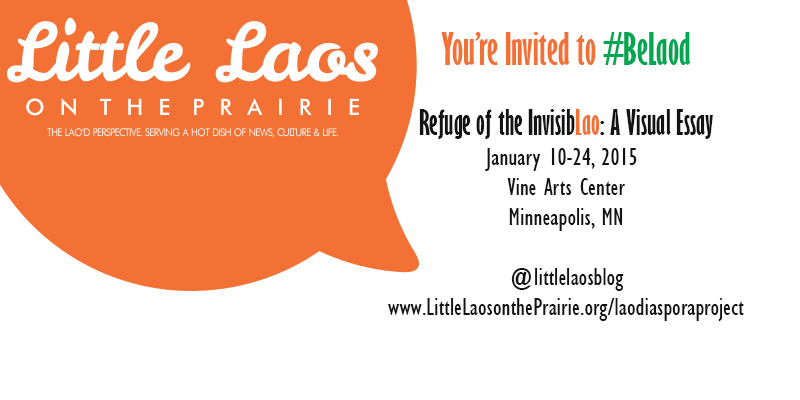 Little Laos on the Prairie (LLOTP) invites you to join us for “Refuge of the InvisibLao: A Visual Essay”, a storytelling art and photography exhibit. The exhibit will feature the work of acclaimed neo-expressionist Chicago-based artist Chanthala Kommanivanh and past and present portraits of Lao American journeys that were collected, as well as other special guests. 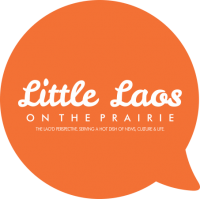 The event welcomes community members, public officials, advocates, scholars, and those interested in immigrant stories from Laos and Southeast Asia. What is the ‘American Dream’? After the civil war in Laos during the Vietnam War era, thousands of Southeast Asians emigrated to the United States, Australia, France and other countries. Thousands more followed as students, merchants, and to simply start families in the ‘Land of Opportunities’. To mark 40 years of Lao Diaspora, LLOTP will launch its 2015 #BeLaod campaign to promote historically invisible stories of Lao American journeys in the states. Stories of displacement, isolation, identity crisis, reflection, hope and happiness– some of the themes that encompass the depth of the path to an American Dream for the Lao Diaspora. Opening storytelling reception begins on Saturday, January 10, 2015 from 5:00pm-8:00pm at Vine Arts Center on 3637 27th Avenue South, Minneapolis, MN 55406 (2nd level of Ivy Arts Building in Seward neighborhood). The full exhibition runs January 10-24, 2015. Details of the event is on our Facebook page here: https://www.facebook.com/events/367183820126967/. For the latest updates in 2015, I encourage you to follow us on Facebook and Twitter. For those who are Lao Americans, share your stories from the last 40 years using hashtag #BeLaod #LaoDiaspora. Photo submissions are still being accepted and is constantly being updated in our mosaic gallery here: littlelaosontheprairie.org/laodiasporaproject. Please see the attached flyer and spread the word. If you’d like to be a part of the event, please feel free to connect with me about it. 5. Win a featured shoutout and (limited) LLOTP goodies! Previous PostVoice and Verse: "Brother"